No plumbing system will work right if not professionally installed. You’ll have nothing to worry about when you work with us. Let us handle your installation. There is a lot that can go wrong with your drains and pipes. The good news is that we’ll repair your plumbing system as needed. Contact us if you are concerned about the condition of your plumbing. The only way that you can hope to keep your plumbing system in great working condition is to schedule routine maintenance. We are the professionals to trust with the task. Whether you’re having trouble with a sump pump or you need a new toilet installed, we’re able to handle matters with professionalism and skill. If you’ve had sewage backup on your property, we are prepared to tackle the job and can clean up the mess. Our goal is to resolve the issue as quickly as possible and get your home back to running smoothly. Our Team Is Able to Conquer All Your Plumbing Problems! Call us today if you need an experienced plumber. Joes Plumbing Co. is operated in Washington, CA, and we’re ready to serve you. 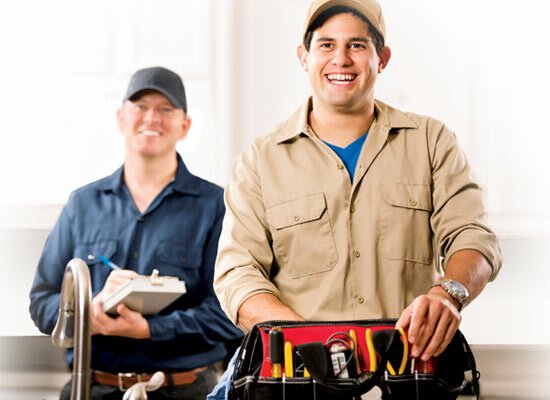 Our team is dedicated to resolving all your plumbing problems with professional work and exceptional customer service. Outstanding plumbing is not just about pipes but about building trust and showing our customers the consideration and courtesy they deserve; that’s where our plumbers surpass. Our professionals are reliable, friendly and respectful with every client we visit, providing them with a top-quality experience. The only way that you can hope to keep your plumbing system in great working condition is to schedule routine maintenance. We are the professionals to trust with the work. There are many benefits that you’ll enjoy when you schedule a checkup and maintenance with us. There is no way in which you can plan on when your plumbing system will fail. That is why we offer emergency plumbing service. Don’t wait for normal business hours to have your needs addressed by an expert. If you have a water leak, you can expect some serious damage to develop on your property. An automatic shut–off valve can help to prevent this by stemming the flow of water to a leaking appliance. Let us install and service yours. Your pipes are a major piece of the plumbing system in your home. They are responsible for the delivery and disposal of water throughout the house. That is why you should work with the piping experts on our team. Natural gas is an outstanding resource. It can also be quite dangerous if not properly handled, though. Make sure that your gas line is installed properly to use natural gas in your home safely. Protect the lowest levels of your home with a sump pump. These devices pump water out of basements in order to prevent property damage. Let us help you find the right sump pump for your particular needs. The bathroom in your home is one of the most plumbed areas therein. You cannot afford to take risks with the components in your bathroom plumbing setup. You won’t have to, of course, provided that ours is the number you dial for service. From using natural gas to cook for your family, to the drains in your sink that allow for wastewater disposal, you depend upon your kitchen plumbing for many different reasons. Make sure that your kitchen plumbing is able to live up to your expectations. Work with our professional plumbers to ensure that this is the case. Using a garbage disposal is an efficient way in which to make your kitchen a more convenient place. Allow us the pleasure of helping you to get the most from your garbage disposal. Schedule your installation and service with a member of our team. If your water line is in trouble, your property is at risk. As soon as you suspect that there may be an issue, give us a call. We provide exceptional water line repair and replacement services throughout the area. Water leaks can do real damage to a home, as well as waste your money and resources. Give us a call if you notice a spike in your water bills or if you see evidence of water leaks in your home. We will get to the bottom of the problem. You need to have a slab leak repaired as quickly as possible. To ensure that you do, just dial our number. We understand how urgent this problem is, and we will be sure to resolve it promptly. Backflow in your plumbing is not an issue you want to deal with. We have the products and services you need to benefit from reliable backflow prevention. Let us know if have any concerns, and remember to schedule plumbing service with the professional plumbers at Joes Plumbing Co.